Mozzarella, also from the Pasta Filata family, is lower in moisture than Bocconcini. 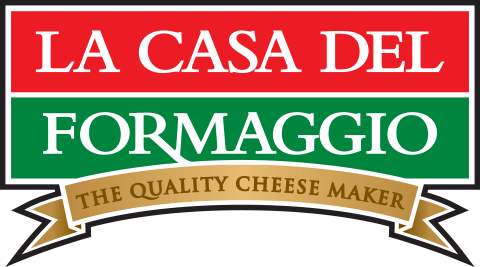 La Casa Del Formaggio’s Mozzarella follows the same manufacturing process as the Bocconcini products, only it is cooked a little longer in its own whey to expel more moisture, making it one of the purest Mozzarellas on the market. Our Mozzarella is higher moisture than standard pizza cheese, which means it stays rich and creamy when melted at high temperatures. Mozzarella is delicious melted on pizzas and toasted foccacia rolls. It is a key ingredient in lasagnas, casseroles, pasta bakes and most other cheesy hot dishes. Baked gnocchi with melted mozzarella, pumpkin, sage and cream. A perfect vegetarian winter warmer. Ricotta and Fresh Herb Cannelloni is a perfect vegetarian hearty dish. Bonus: it uses three cheeses (Ricotta, Grated Parmesan and Mozzarella)! A simple and classic recipe for Prosciutto, Chilli & Mozzarella Pizza that you will want to make again and again!